Depending on who you talk to, Android as an operating system may or may not have an issue with malware, spyware and viruses. We typically operate under the idea that it in no way has a problem, but that there are plenty of security companies out there willing to tell you otherwise. To be fair, though, there have been cases of malware or viruses in Android apps, most simply aren’t found anywhere near the Google Play store. If they are found, it’s usually through alternative 3rd party markets or pirated apps. To keep you safe and to help ease your mind, just in case you are worried about potential threats, there is no harm in installing apps that are built to protect you. And trust me, there are plenty out there. In fact, all of your favorite security companies have Android apps that will scan the heck out of your phone, while trying to find something malicious. 1. Once installed and you have walked through setup, scanning for viruses is incredibly simple. 2. 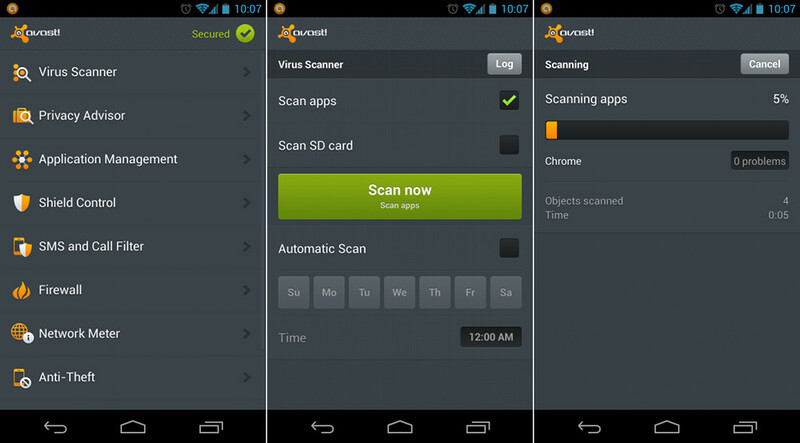 Tap the “Virus Scanner” button. 3. Then decide if you want to scan apps only or your SD card too. 4. At this point, you can also set up a schedule to have your phone scanned regularly. 5. Press “Scan now” and off you go. 6. If your phone finds anything wrong, it will notify you and also give you instructions to fix. 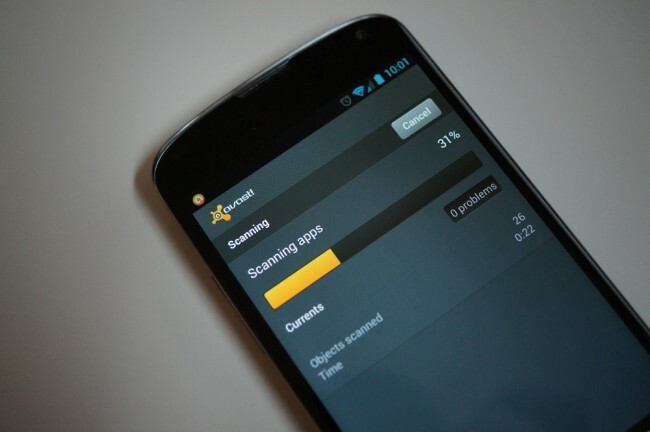 Scanning is a pretty easy task to complete that I’m sure most of you will have no problem with. What you’ll need to decide, is which app you like the most depending on its feature set. 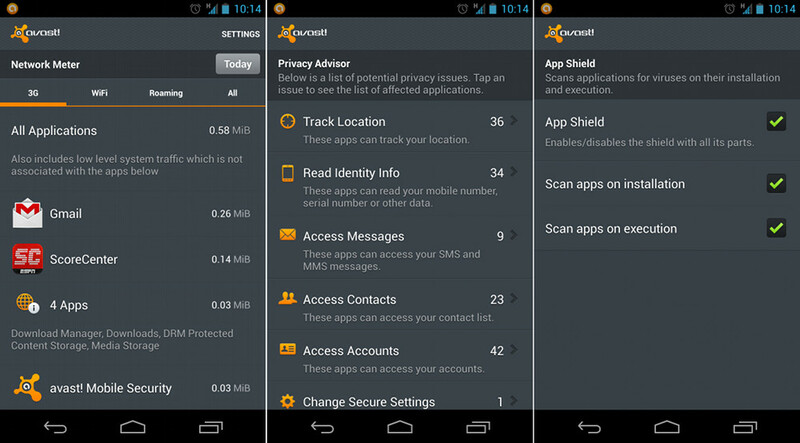 Almost all of the security apps listed below will help if your phone is lost or stolen, they’ll scan your phone for viruses, they will monitor app permissions, scan apps before they install or open, and will even see which apps are using the most data. If you are like us, and think that the anti-virus side of Android isn’t all that frightening, think about using these apps for the other reasons I just listed above. Feel free to check each out, read reviews about them all, run through their list of features, and then decide if one fits your needs.